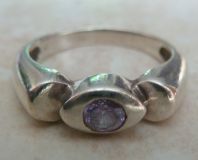 Silver Plated and Amethyst Coloured Rhinestone Ring. Silver plated and amethyst coloured rhinestone floral design ring. 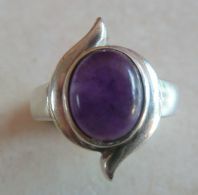 Silver plated with amethyst coloured rhinestones.